LONDON (AP) — One of Britain’s top central bankers apologized Wednesday for saying the British economy is entering a “menopausal” moment, a sexist remark that prompted widespread criticism. The comment sparked a backlash of criticism. “This poor choice of words is very disappointing and distracts from the real issue at hand,” said Carolyn Fairbairn, director-general at the Confederation of British Industry, the leading business lobby group. Britain is in a moment of low growth that many attribute to uncertainty surrounding the upcoming exit from the European Union and to a long period of weak productivity growth. Broadbent later apologized in a statement issued in response to the interview, which was flashed across the front page of the newspaper. “I’m sorry for my poor choice of language in an interview with the Telegraph yesterday and regret the offence caused,” he said. Broadbent said he’d been trying to explain the word “climacteric” — a term, he said, that economic historians use to describe a period of low productivity growth during the nineteenth century. “Economic productivity is something which affects every one of us, of all ages and genders,” he said in his statement. 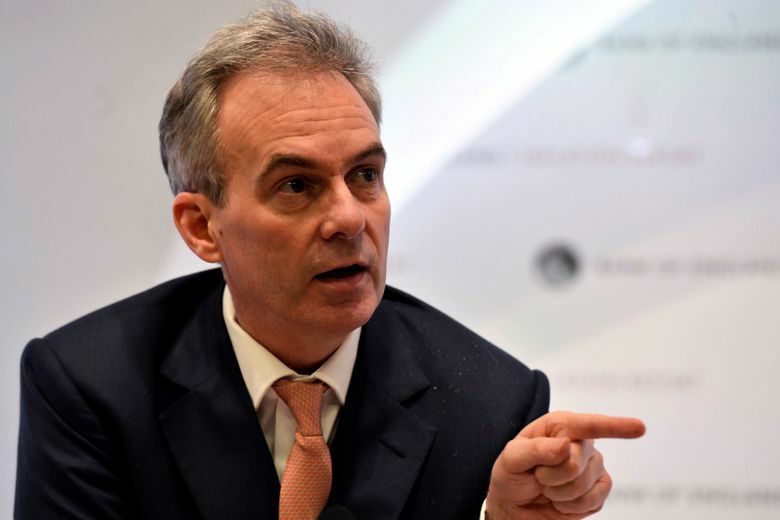 Though he was swift in apologizing, his remark could hurt his chances in succeeding Mark Carney as the central bank’s governor. Carney has said he will stand down in June 2019, and many were tipping Broadbent, a former Goldman Sachs economist, to succeed. British Prime Minister Theresa May will be the one making the decision. Carney has conceded that gender inequality has been a problem at the Bank of England. In its first gender pay gap report, issued last year, the bank found that male employees are paid almost 25 percent more than women. The bank has introduced diversity targets, including an aim to have 35 percent female representation in senior roles by 2020, up from 30 percent in 2017.